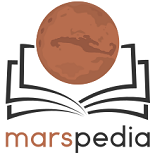 This is a list of Mars station simulation projects for which Marspedia needs articles. Mars Desert Research Station, Mars analog station operated by the Mars Society, Hanksville, Utah. Mars Yard, a 9 x 9 m 'Planetary Utilisation Testbed', used to test a half-scale version of the ExoMars rover, called ExoMars Testing Rover (ExoTeR) at the ESA's Planetary Robotics Laboratory at ESTEC in the Netherlands. Pangaea-X is a lunar-focused test campaign that brings together geology, high-tech survey equipment and space exploration by ESA in the barren and dry landscape of Lanzarote in the Canary Islands, Spain. AMADEE-18, 2018 Mars analog field simulation in the Dhofar region, Oman. Directed by a Mission Support Center in of the OEWF in Austria. AMADEE-18 was a 4 week mission, during which approximately 100 participants, including 15 field crew members, conducted approximately 20 experiments relating to survival and exploration on Mars. View the AMADEE-18 mission summary from the 2018 Mars Society Conference.